I heard about rampicante squash last year on a podcast. 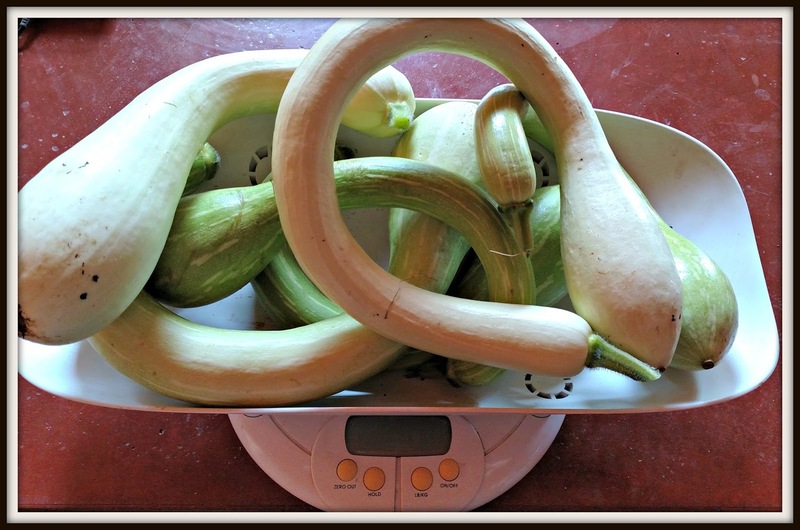 It's an unusual Italian squash in that it can be a summer squash, similar to zucchini (only more creamy and less watery) or it can be left in the garden to cure and become a winter squash. I planted them this year and instantly became a huge fan. I just love these squash! The plants have been doing so well I decided to make dill pickles. I usually try to get about 10 pounds to make pickles. I used a pickle mix this time which made it easy. After they cured for 24 hours, we ended up with 18 pints of pickles! I thought to myself, this is a crazy number of pickles. Too much. But then that day for lunch the boys went wild for these pickles and ate an entire jar in one setting. At that rate? Shoot, maybe I should make a couple more batches! Readers, do you like pickles? there's no such things as too many pickles. 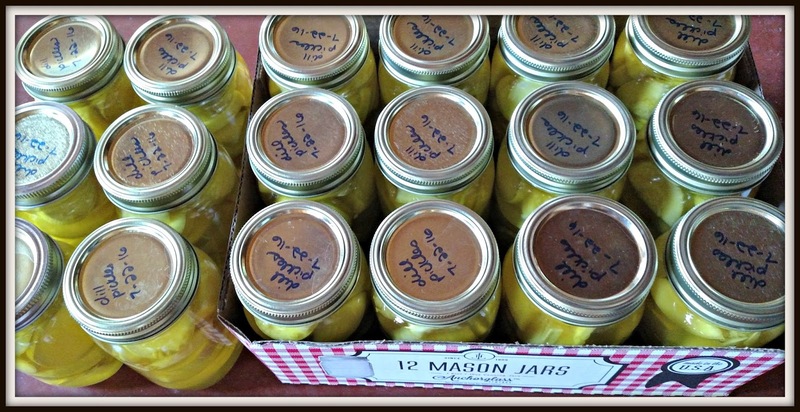 I have never made pickles, but reading your post has given me the idea that perhaps I ought to have a go. And that squash! now that is an interesting one to have in the veg plot! They are good breaded and pan fried as well. The squash bugs might not bother them as much if they are related to winter squash. I love sweet pickles and bread and butter pickles. I didn't know you could make pickles from squash. How do they taste differently from cucumber pickles? Mighty fine job! and so delicious too! I agree, you need to make more! And you can eat them all winter. They must be just delicious! I have never heard of such a squash! You find the most interesting and unusual things! Love love love pickles... We have a big container of dills and a big container of bread and butter pickles in our fridge right now. Awesome that they were such a huge hit for the boys! those squash look amazing and so do your pickles... i love pickles! An unusual vegetable, you do go through a lot of pickles.I like to use them as gifts. Lisa, are you saying that you made the pickles from the squash? I love any kind of squash, but the season is too short here for growing any. Dried these look like they would make perfect birdhouses. Your squashes are so cute! I do like pickles. I planted squash this year and got nary a one. Lisa, I know you run by yourself a lot. I know you don't watch the news. Be really careful. There has been a whole rash of women out running being killed this week. Pickles. What a great way to get the kids to eat their veggies. I haven't heard of these. My boys love pickles! I love pickles! But we usually have cucumber, onion and carrots only. Never try this kind of squash before..